Sigue Sigue Sputnik’s phoenix rising. Who remembers Sigue Sigue Sputnik -that loud, British, electronic cyber punk band, blasting through the 80’s with their hit singles Love Missile F1-11 and 21st Century Boy? In those days Martin Degville and the boys had gigantic bleached hair that looked like exploded rabbits. They were superslim and wore knee and shoulder pads attached to their PVC space suits. They flaunted cyber guns and wore black fishnet stockings over their heads. Their music introduced anarchistic electronic cyberpunk to a world that was quickly becoming obsessed with science fiction, movies, and computers. Not much has changed since then, I discover, as I interview Martin Degville, who broke away from Sigue Sigue Sputnik to create Sputnik2 in 2004. We meet on the roof of the Grand Daddy Hotel were Martin is staying in the honeymoon suite. Two days earlier he married his sweetheart of 6 years, Johan. Martin and Johan sport the same chunky over the top wedding rings and flash it proudly at me. The South African Johan is a neatly dressed young man that looks like he comes from a good neighbourhood. Martin has spikes in his ears and wears a cowboy hat with enormous feathers in it. He has sleek crocodile boots on his feet – still the cyber cowboy of the 80’s. His pants is a patchwork quilt made up of, among a lot of other fabrics and textures, some of the material from a Brazilian football team. “I like everything distressed. Effed up.” He leers at me as I comment on his pants and then shoots back a chocolate tequila but then he quickly takes of his sunglasses and mutters that it’s rude to wear them. His eyes are a violent turquoise and the lines on his face tell a tale of a life well-lived during the last 51 years, with one foot on planet earth, and one in Cyberspace. “I have always wanted to play in South Africa.” Martin explains. “Although the main reason I am here is to be with my love.” He looks affectionately at Johan who is sipping on a beer. What few people know is that Martin would have loved to have been a freelance artist. 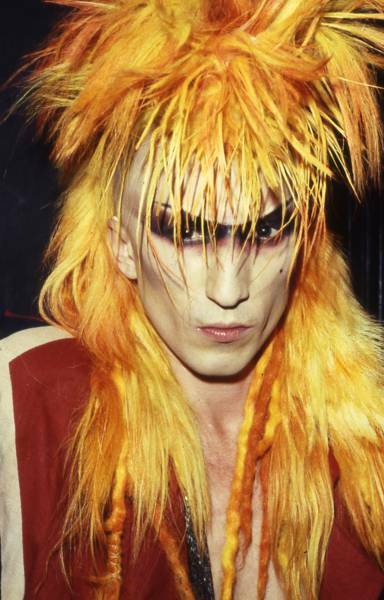 He created the image, and designed all the original outfits, for Sigue Sigue Sputnik. He also created outfits for Adam and The Ants, Boy George and Siouxsie and the Banshees. He shared a flat with Boy George for a while. “Yeah, Boy George had me thrown out of his gig when I got up on stage to sing Karma Chameleon with him.” Says Martin. The he starts to sing Karma Chameleon. His voice is surprisingly gently and melodic. “During my show, when everyone shouts for a song, if I don’t have it, I let people on stage and give ‘em the mike. Let them go crazy.” Says Martin. “Not like Boy George who shouted, “Get him out of here!” Martin laughs. Barney Simon of Tuks FM 107.2 and Jacaranda 94.2 will host both the show in Cape Town and Johannesburg, and he will be spinning tunes with DJ Aidan – aka Squeek. 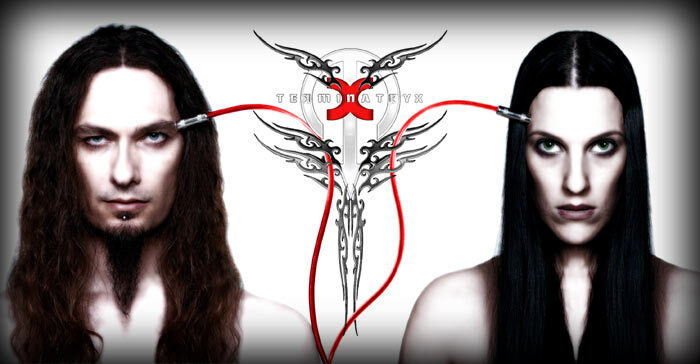 Terminatryx, whose style fuses industrial, gothic and punk, will be the support band. Bookings can be made through www.webtickets.co.za. Pre-sold tickets are R100, or you can pay R150. Contact Aidan at MyMusicMatrix on 021 8111 280 or, 083 730 5549 for more information.